Rajasthan University Online Exam Form 2019 Regular & Private Uniraj BA BSC BCom Exam Fees & Dates: We are informing all regular, private and non-college students that Rajasthan University has issued the official notification for completing the annual UG & PG exam online examination form. The online application form for students will start from September to October 2019. Students are suggested to fill out the Uniraj BA BSc BCom Online Exam Form 2019 before the last submission date. If after the last date you submit the RU Exam Form, you will be charged an extra fee. 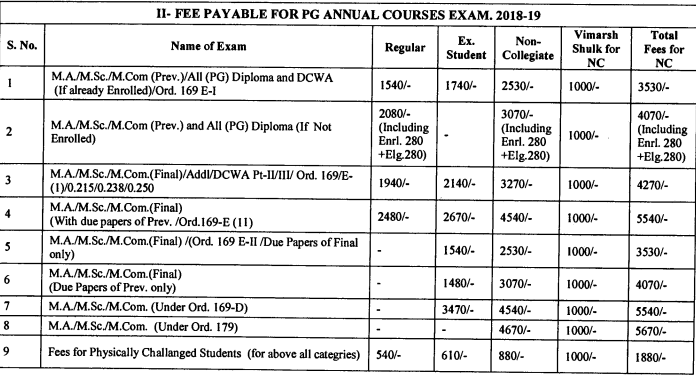 We also provided details of the examination fee for BA BSC BCOM & MA MSc MCom degree courses here on this page. Students can use online mode to fill in the Uniraj UG & PG Exam Form. To fill in the online exam form, candidates must have 12th pass certificate, passport size photograph & signature. First of all, check all the instructions from the official notification after that fill out the online exam form and don’t forget to fill out the Adhar Number in the Exam Form. Candidates must have a 75 percent attendance to fill out the examination form. The examination form is not accepted by Rajasthan University students through postal order. Those students who face any problem filling the official website of the Rajasthan University Online Exam Form then apply procedure at the end of the page. 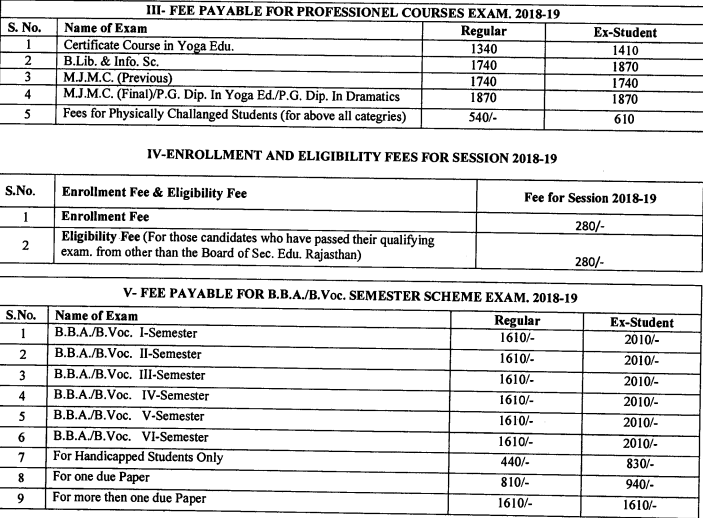 You can also check the details of the examination form fee and the annual examination calendar below in this article. Here we also provided other details on this page, such as Time Table, Exam Pattern, Previous Year Paper and Syllabus. I filled top 5 subject marks instead of other marks in exam form.Now what can I do?